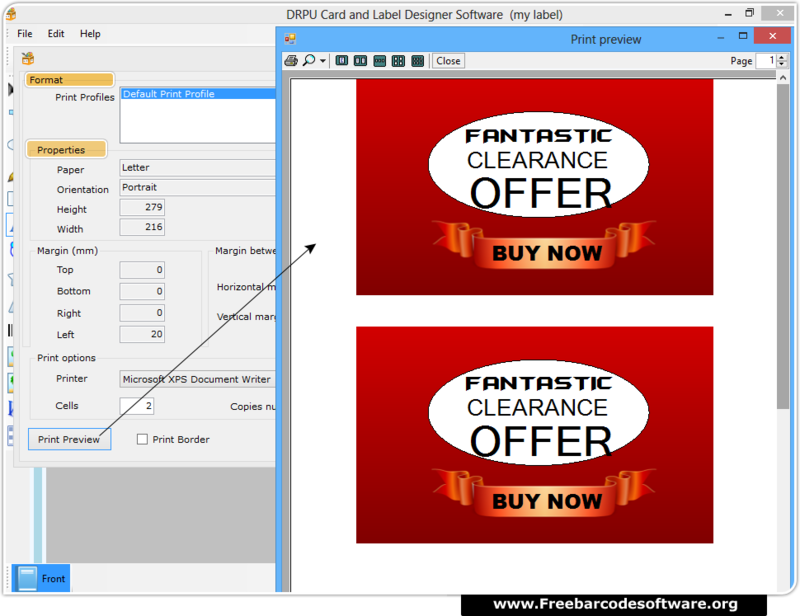 Choose Mode of designing to create Card and Label and Click 'OK' to proceed. 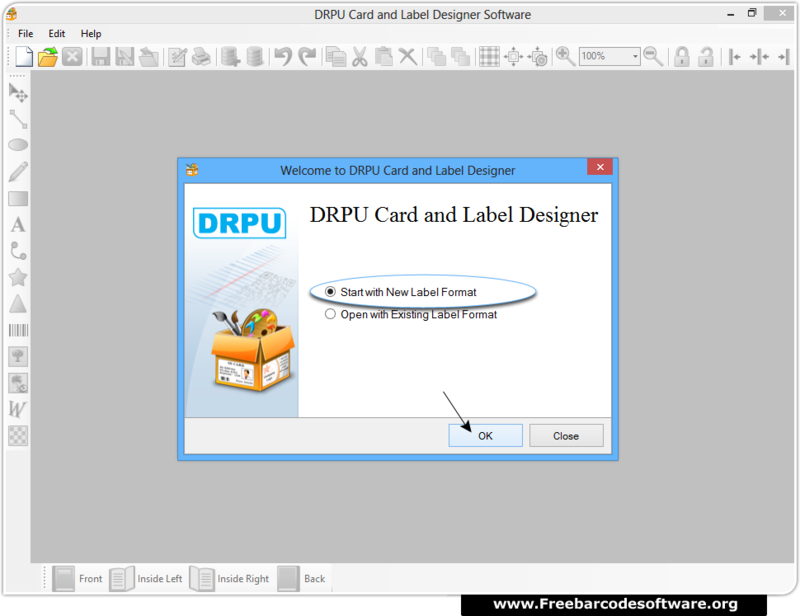 Specify Label name, size and shape then go to ‘Finish’ button to proceed. 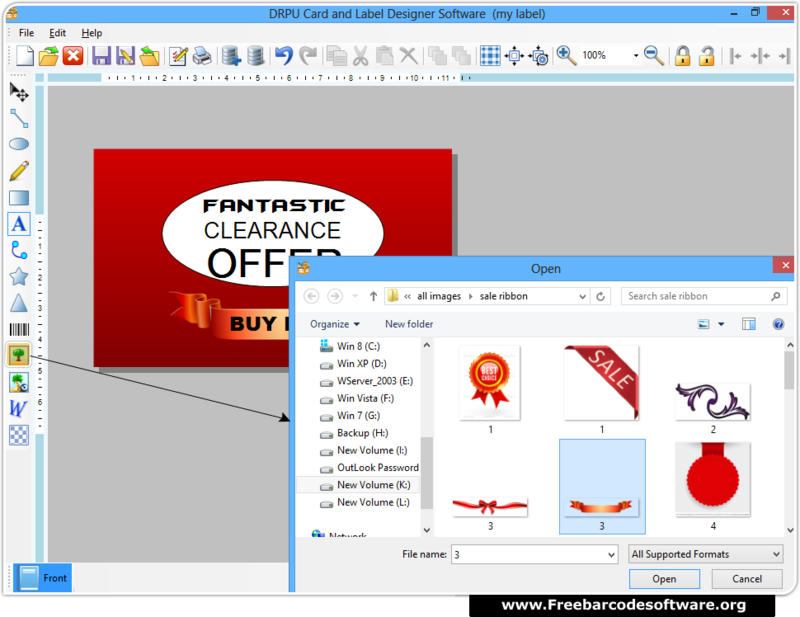 Go to Picture tool from left tree, and browse path for the image to be insert on your label. 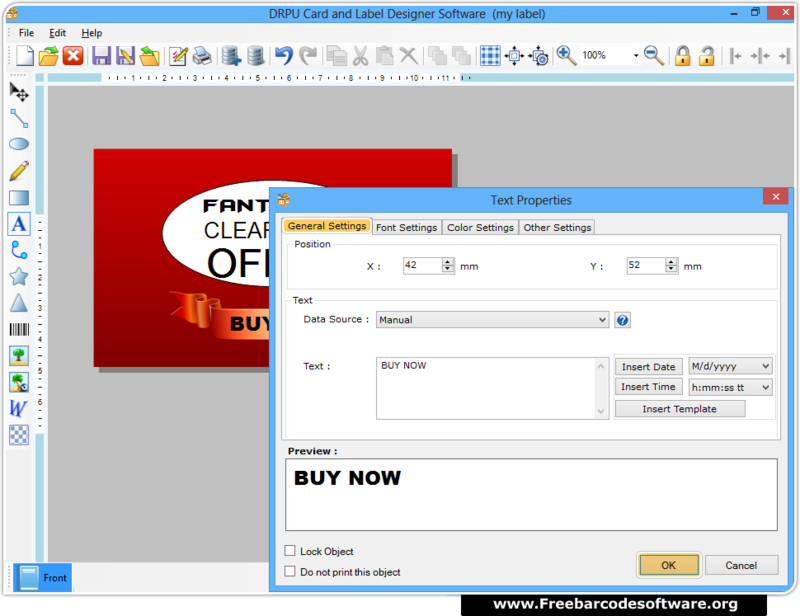 Add text using text tool and edit text properties as per requirement. 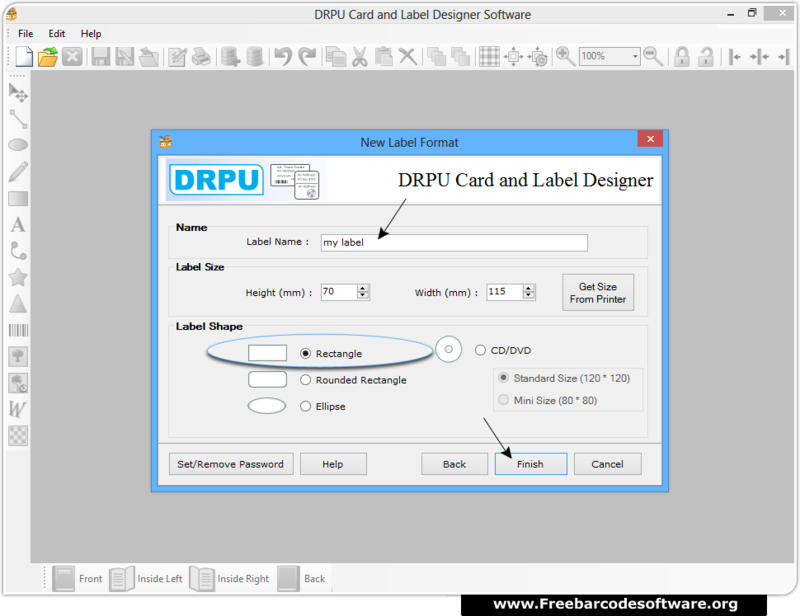 Go to print option from tool bar and fill necessary attributes to proceed. Print preview option is also available to avoid printing mistakes.